Fly-Fishing for the largest Taimen, Trout and Grayling on this planet ! - World Records. Every season brings new record-class fish for our clients and guests. Plentiful catch of prime Lenok and Taimen every single day. Largest specimen and record-fish are landed typically during the autumn season of Indian Summer in Mongolia. Picturesque Sajan-Mountains. Fishing & photographing in the Frontier of Northern Mongolia. A virgin land in untouched wilderness, our own traditional log-cabin camps and fishing-lodges at long-term leased Taimen-Rivers (leasing for a period of 50 years from the government) and protected pristine streams of northern Mongolia ! 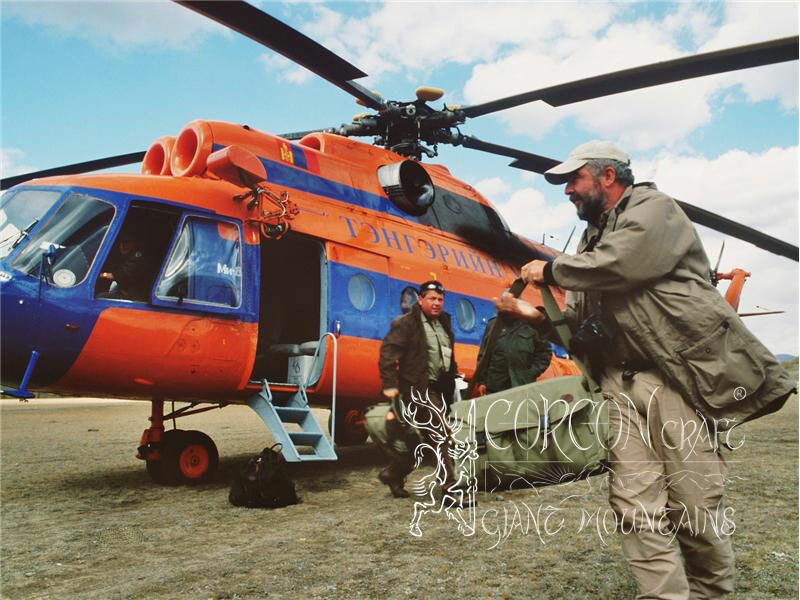 Professionally guided tours in the National Park of the Siberian / Mongolian Borders. Our own exclusive river stretches of several 100 miles at the legendary Shishkid, Tengis, Ur and Selenge Rivers. Strictly limited Fishing-Licenses and guarded Taimen Tags. Active protection and conservation of the prime strongholds of Taimen habitat in the country. Taimen Catch and Release only. Barbless single-hooks. Few last dates for autumn fishing-season still available ! Traditionally built comfortable lodges with large bath-room and warm showers, a stylish dining room with bar and 2-bed log-cabin accommodation with cozy wood-ovens and service. Fresh organic European cuisine and local traditional dishes. Camp is fully equipped with 4-wheel-drives, horses, boats and camping gear for longer fishing explorations, maintained trails and cabins along the rivers. The Expert in Mongolia with 20 years of experience in the country and own office in Ulaan Baatar. 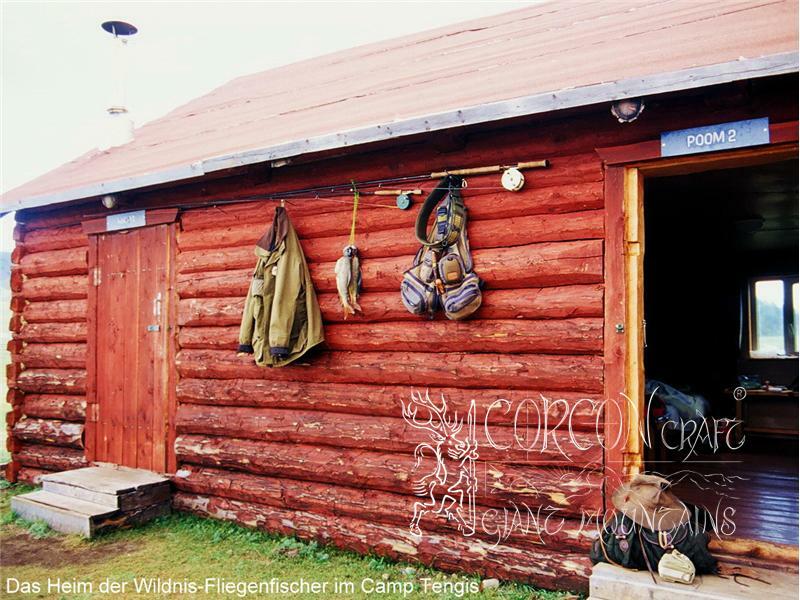 Well-established Czech, German and Mongolian based Fishing Outfitter Company. Breathtaking scenery and highland grandeur throughout the trip. Plenty of local culture, traditions and free nomadic tribesmen and herders living nearby our wilderness camps. Limited small parties of sportsmen, 6 - 8 rods only per camp. Lodges Tengis and Chanagai at the wild river Shishkid / Tengis. Camps at the legendary rivers Ur and Selenge, holding traditionally most of the great record-class fish. This season we have additionally obtained license for the best river stretch at the Delger Moron River. Running our own yurta - ger base camp at the Delger. Minimum of 3 - 4 rods per camp are necessary at cost, possibly in combination with other party. 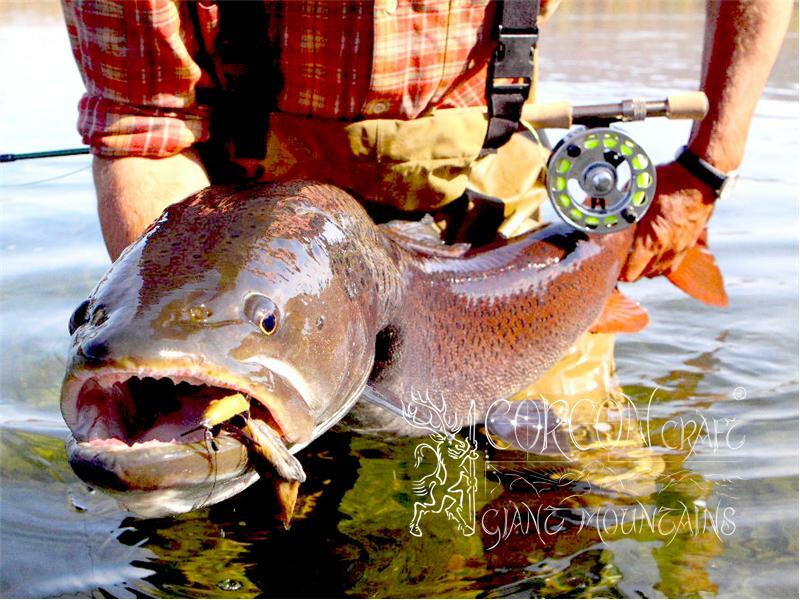 Preferably Fly-Fishermen, but also spinning game-anglers by the use of single-hooks are welcome. Barbless hooks are preferred, as all of our Taimen are released and returned into the river ! 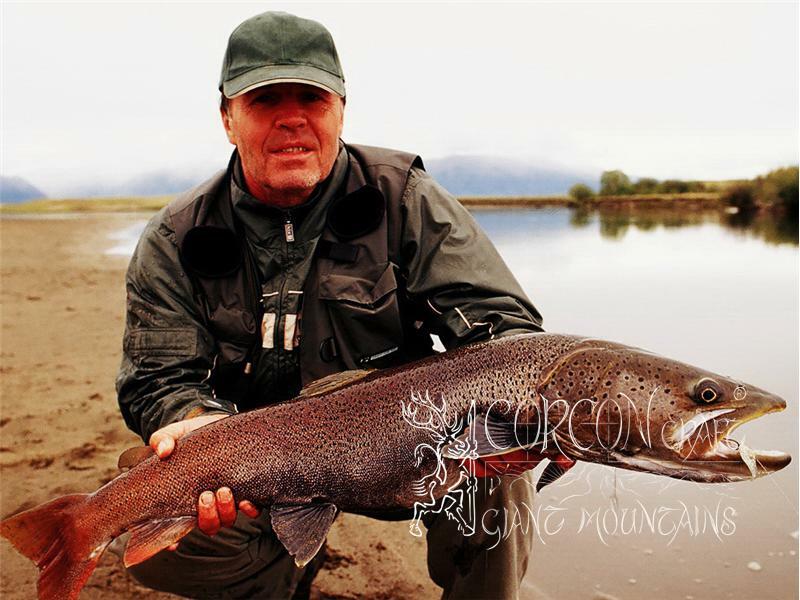 Inclusive domestic flight and transfer to the North, hotel accommodations and transport to camp, with full board pension 2 weeks and with German guide Jan Haman - fluent in English, Spanish, Czech and Russian language, at Your service during Your whole trip as the local fly-fishing expert, interpreter and professional hunter. Additional is the international airfare to Ulaan Baatar and Visa, aprox. 800 - 1.000,- EUR (depending on departure airport from New York, London, Frankfurt, Berlin or Prague according to present offer). Best possible connection will be arranged by us, as well as Your visa. Alkohol. beverages at camp optional at extra cost, by advance-order at booking. Original Czech beer and premium French wine. Deposit payment at booking 50 % no later than 31.07. 2011 (booking of best flight-connections) or until all dates and camps are reserved. Final payment 14 days before departure.